so much to like in this colage of characters. nicely done. Now all we need is the Chibi Love Attack. omg...kawaii!!!!!! all of them are adorable!!!!!!! i can't get over how cute it is...hehe definitely a fave of mine at least! there look so cute, i would like to know how many anime chibi there! all characters are get together. also I like the sky very much. Yay! Lizzie submitted it! Ehehehe, now it's big enough to go on my desktop too!! 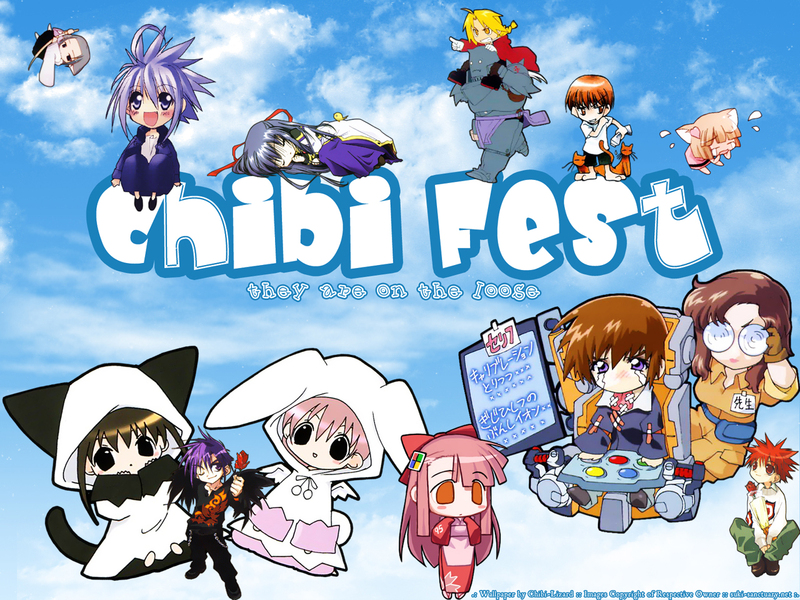 I really love how you made some of the chibis sit, stand and even sleep on the words, ish so cute!! Great work Lizzie-chan!! ahh! kawaii desu yo!!! it's so cute... i was wondering when i'd finally see somthing like this... ahaha!!! so cute!!! Waa, kawaii! love those chibis, you've done it very well, great job, cicak!